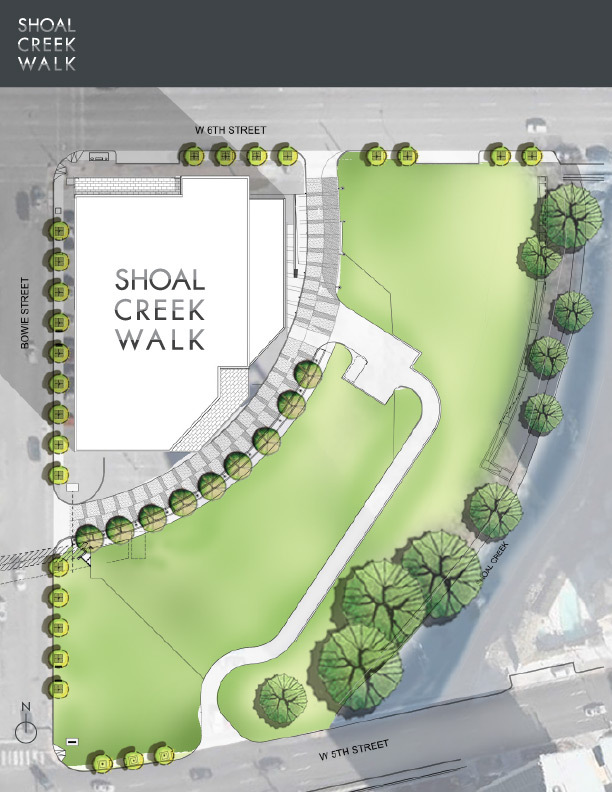 Add Shoal Creek Walk to the best of everything that Austin has to offer. This magnificent, 15-story Class A office building is located in the city’s Market District. With 6,300 sq. ft. of ground floor space, and 212,200 sq. 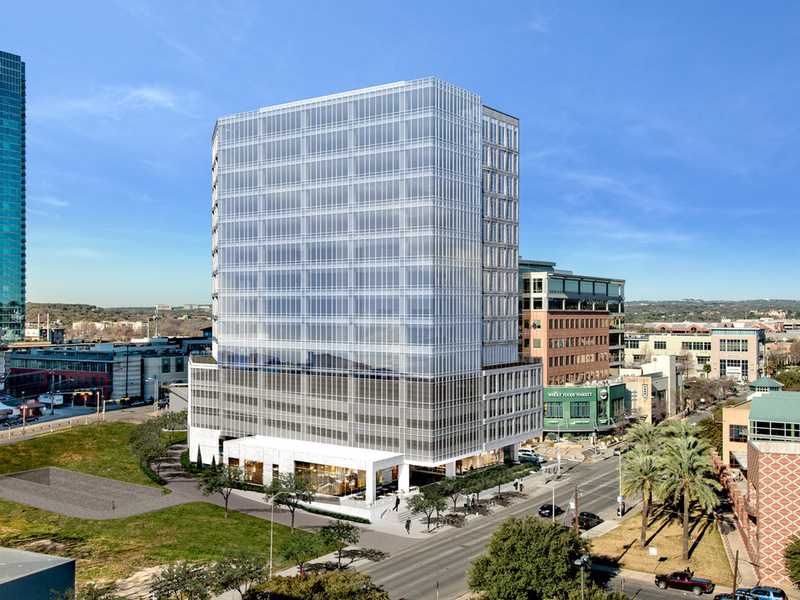 ft. of office space, Shoal Creek Walk places your business squarely—and stylishly—within downtown Austin’s dynamic west end. The building’s layout allows unmatched workspace flexibility, with a spacious lobby and sleek, modern finishes to create an oasis of calm and distinction for arriving corporate guests and partners. 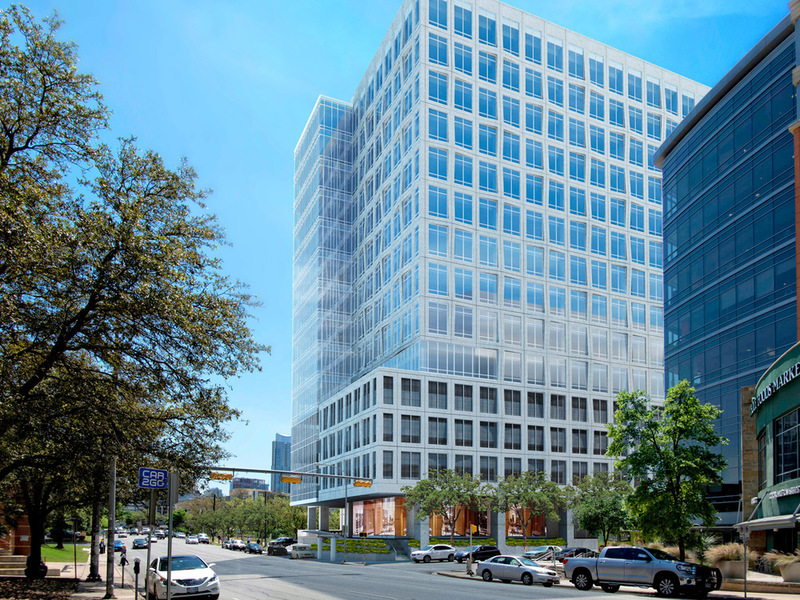 Austin Energy Green Building 2-Star Rated. Glass curtainwall facing the CBD & Capitol. Precast with Fenestration facing the Hill Country. Visions Glass is 1" insulated low-e. 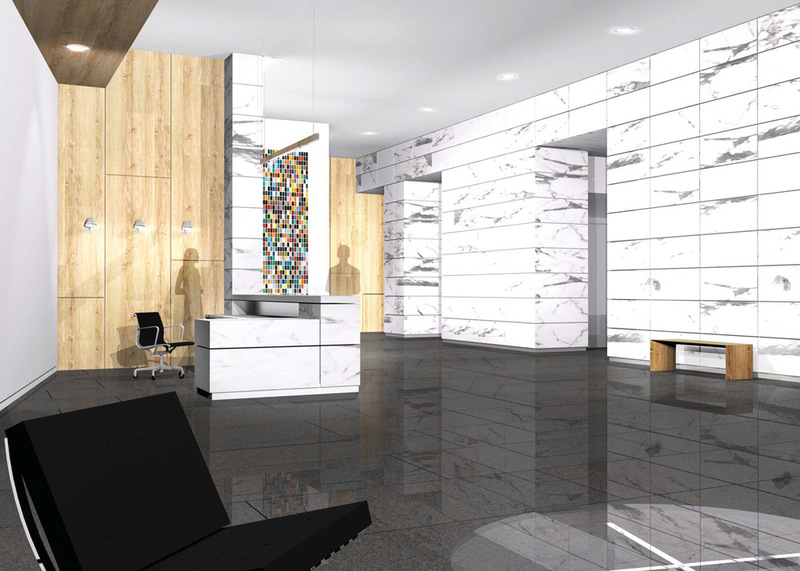 Floor to Floor: 13' - 8"
Ceiling (if installed): 9' - 0"
Main Lobby: Flamed black granite flooring. Honeyed white marble walls with white oak wood accent panels. Typical Tenant Lobbies: Stained and polished concrete flooring. White oak accent paneling. Core Walls: Gypsum board. Paint ready. Tenant Floor: Smooth Trowelled Concrete. Office Tower: Three 3,500 lbs. traction elevators and one 5,000 lbs. traction elevator. Garage Levels: Two 3,500 lbs. traction elevators. 3.0 per 1,000 RSF. 4 above grade tower levels with perforated metal screening. 3 below grade levels. Chilled water provided from Austin Energy's District Cooling loop. Medium pressure ductwork installed. Fan powered boxed provided on floor at tenant expense. 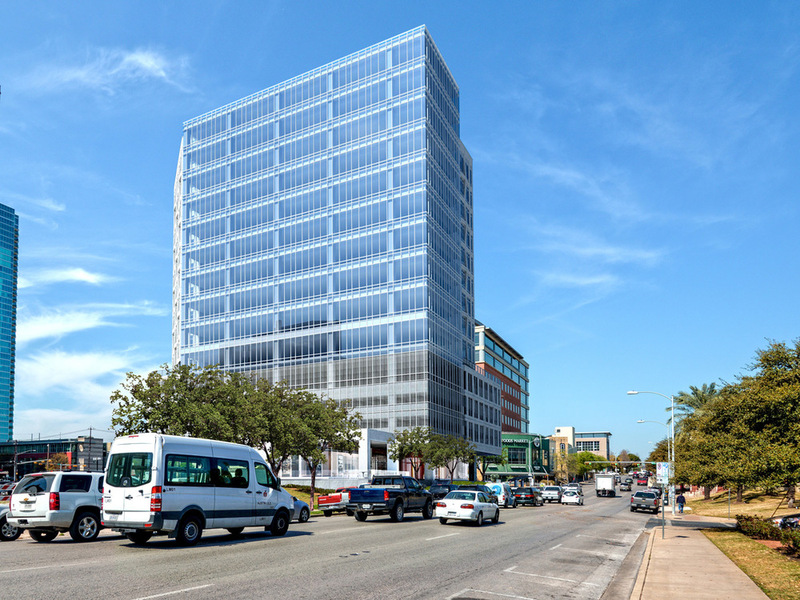 Fully compliant with NFPA-13, IBC-2012, with City of Austin Amendments, and High Rise Codes. Base building technology and communications infrastructure will provide maximum connectivity & flexibility.